Next weekend is the 2019 Grand Prix Zagreb Open in Zagreb, Croatia. 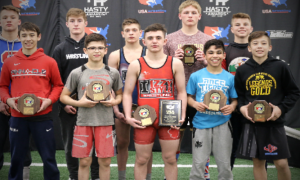 It has become somewhat of an annual stop for US Greco-Roman Seniors in recent years, with the program putting forth at least one medalist dating back to 2016. ’16 was a particularly strong group. There were four American medalists on that January day — Joe Rau (TMWC, Chicago RTC) took second at 98 kilos, and three-time World Team member Patrick Martinez (NYAC) grabbed bronze along with Rio Olympian Jesse Thielke (NYAC/LOG, world no. 14) and Daniel Miller (Marines). It’s also worth noting that Martinez, who goes without say, Thielke, and Miller are all current US National Team members. We’ll get to that in a second. Thielke is holding off until March’s Thor Masters, and Rau is focusing on the Open, but Miller will be in Croatia. The same can be said for Martinez and fellow World Teamers Dalton Roberts (60 kg, NYAC/OTS), RaVaughn Perkins (77 kg, NYAC, world no. 17), and Kamal Bey (77 kg, Sunkist, world no. 7). And there it is again, both Perkins and Bey earned bronze medals at Zagreb in 2017. The US roster is just loaded with National Team members. Kevin Radford (87 kg, Sunkist), who endured a brief injury scare in the Schultz, is lacing them up in Croatia for a second time. 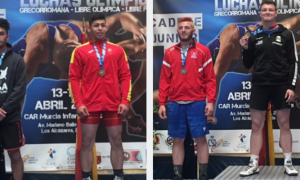 Marine Xavier Johnson (63 kg) earned his first overseas medal at this event last year, and he’ll have company from his own wrestling room in the likes of the aforementioned Miller, Peyton Walsh (77 kg) and John Stefanowicz (82 kg). 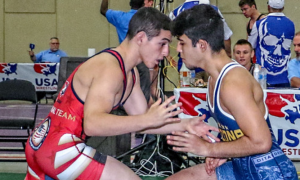 The American Greco-Roman athletes represent the rooting interest — and this is an important tournament for several of them. There are also a couple of other items that will be in play a week from now that you might want to zero in on, with the first one listed perhaps being the most obvious. 5. It’s the first UWW (United World Wrestling) “Ranking Series” event of the year. And because of that fact, a whole bunch of top international stars are competing, World and Olympic stars like Elmurat Tasmuradov (63 kg, UZB, world no. 2), Kim Hyeon-Woo (77 kg, KOR, world no. 3), Peter Bacsi (82 kg, HUN, world no. 1), and Riza Kayaalp (130 kg, TUR), who will be trying to wash the taste of Budapest ’18 out of his mouth. The event itself has been doing its letter-best to promote the festivities on Facebook, and they offered up this gem of a graphic recently that pretty much sums it up. 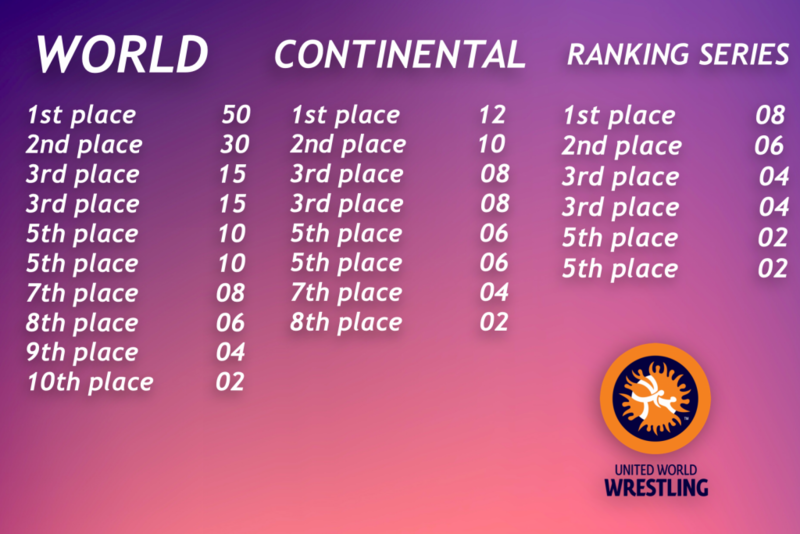 The “Ranking Series”, for better or worse, holds potentially critical implications in regards to seeding at the World Championships with each event (four in total plus a nation’s Continental Championships as well as individually accrued points from the previous Worlds) boasting an assigned value relative to placing. The chart below should help you out. 4. We kind of need to see Johnson and RaVaughn in action against foreigners right now. This is the tournament that can be credited for shot-putting Johnson into the national consciousness. He came in as a blitzing talent, dropped his first match to Junior World champ Kerem Kamal (TUR), won a couple, and then slayed Kamal in the bronze-medal match. This all happened at 60 kilos, not the 63 Johnson is currently locked into. Since Zagreb last year, Johnson has added a couple of more international medals to his resume and made his first National Team this past June. He also hasn’t competed since the summer, so checking out his progress is a high priority. As for Perkins, it isn’t about his progress so much as it’s about his weight. 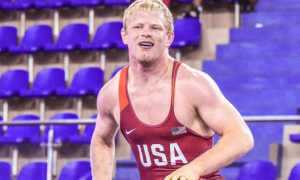 The Nebraska native went 77 kilos at the fall Schultz in 2017, cut back down to 72 from then on out, and then he was back up at 77 for the Schultz last week. 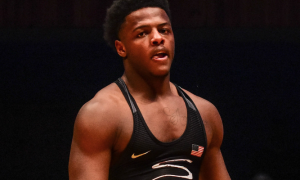 Perkins has the strength and the height/reach for 77, and there’s a good chance he can stay on the mat at this weight if only because he’ll be without the added stress of cutting as much. So Zagreb is a test for him on two fronts: 1) it’s another opportunity to try it on for size, and 2) he is sure to have high-quality dance partners to tango with. Radford’s ability and overall improvement are glaring. The only reason one might not be aware of how good he has become is if they haven’t actually watched him wrestle. Forget about results, we’re talking confidence in movement. That’s when you notice his trajectory the most. 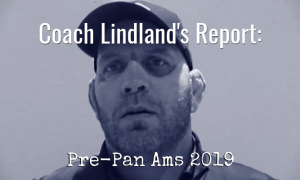 Radford has turned himself into a viable contender in every event thanks in large part to his growing arsenal, shored-up positioning, and general attack plan. He’s beating and has beaten plenty of domestic foes, but it’s the international types who have given him fits. While it makes sense given any and all relative circumstances, Radford has a style that in many cases, should prove problematic for Europeans. If he zones in enough next week, maybe he can unleash it. 2. The officiating: will it be terrible? You’d hope not, and to be fair, Budapest wasn’t completely devoid of decently-called matches. But with “negative wrestling” and its associated (and consistent) misinterpretations, it’s perfectly understandable if you’re approaching the first major tournament of the year with at least some degree of skepticism. For the good of the sport, they better start getting this right. It’s a new era now, and wrestling’s marketability has never been under a bigger microscope. At this stage, it’s not just a fight for fairness, it is practically a fight for survival. 1. Cross your fingers, but Bey could wrestle Kim. You operate with what you know and dismiss what you don’t. We know that both Bey and Korea’s biggest star, Kim, are both going to be available. We don’t know how many other studs will show up since Zagreb hasn’t released the full entry list yet. But if this thing winds up coming to fruition — even if it takes place in a round-of-16 or quarterfinal — it will be the most-watched bout featuring a US guy in the entire tournament. If they had met a year ago, there’s a strong likelihood not too many folks would have given Bey a shot in that one. Now? You never know, especially after the way Bey dealt with two-time World bronze Elvin Mursaliyev (AZE, world no. 8). Plus, Kim’s style is much more agreeable to Bey’s, making legit action all but a guarantee. If they don’t clash in Croatia, perhaps Kim sticks around for the Hungarian Grand Prix and it happens there. One way or the other, the mere idea this could unfold next week is more than enough to get excited about. Streaming live in the US on FLOWrestling (subscription required).